Today is teacher conferences and I'm headed there armed with fun Halloween treats for my son's teacher. These are so easy and your kids can help you! 1. Melt the candy melts according to the directions. 2. Dip your rods in the melted candy (I used a spoon to help cover the pretzel). 3. Place on wax paper and add candy eyes. 4. 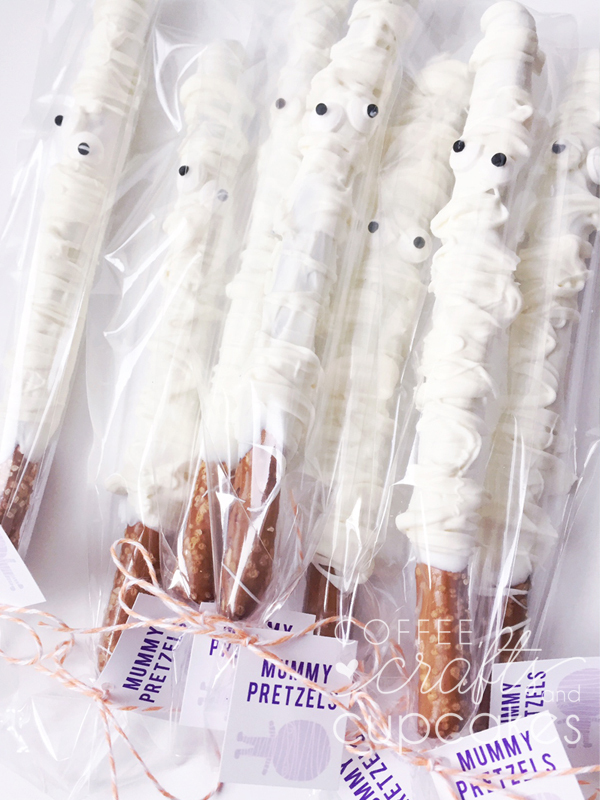 Once you're done dipping the pretzels drizzle the remaining candy melts over the pretzel rods to make the mummy bandages. I've seen this step done before adding the eyes, either way is cute! 5. Once they harden place in a cellophane bag and tie it off with twine and a tag. 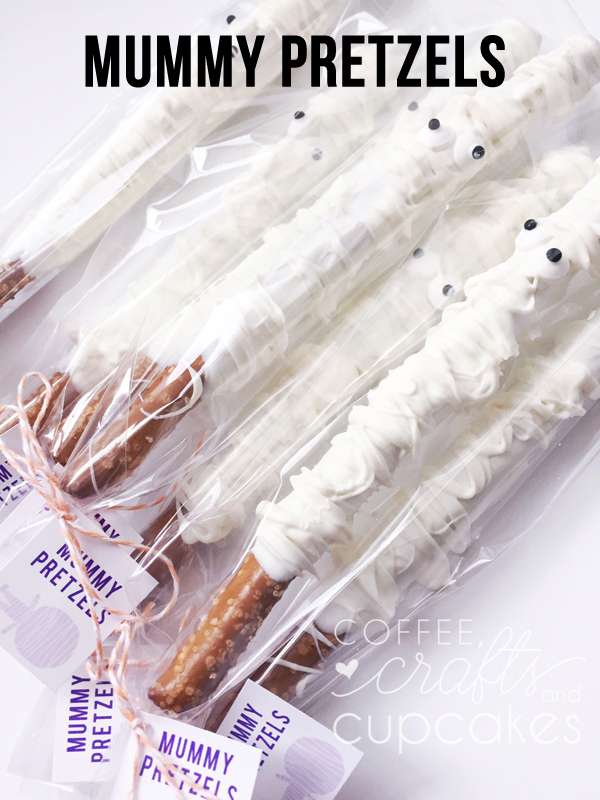 You can find the pretzel bags in the baking section at Michael's.